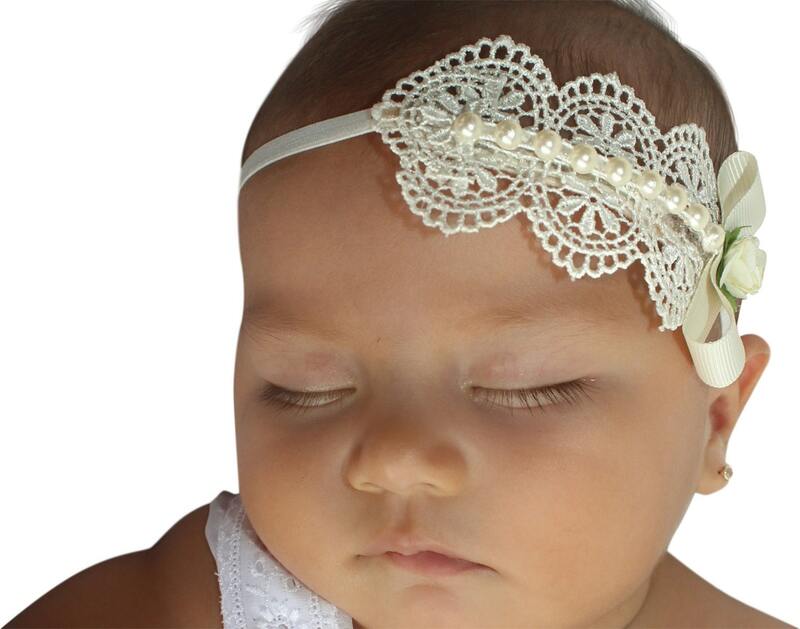 This Spectacular Baby Headband features Lace, a Bow, Flower, and Pearls. 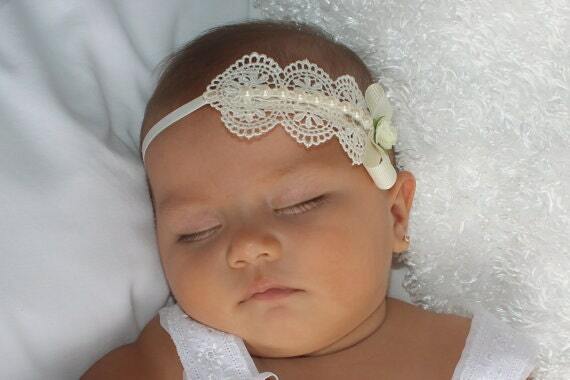 The bow and Venice Lace are felt backed for comfort and sits on top of a soft matching elastic headband. 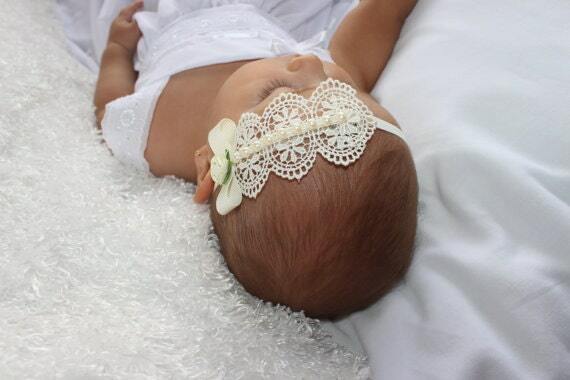 Absolutely gorgeous. 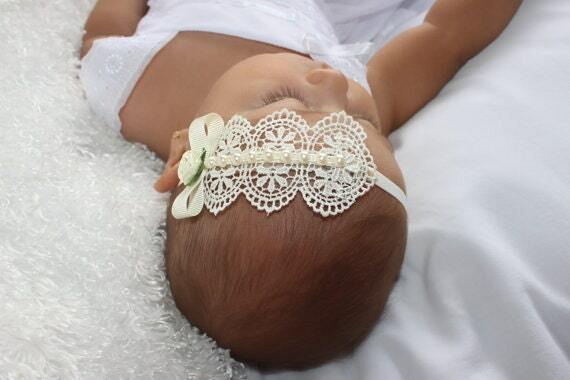 I got it for my daughter’s Baptism. Unfortunately it took much longer than expected and didn’t make it in time. 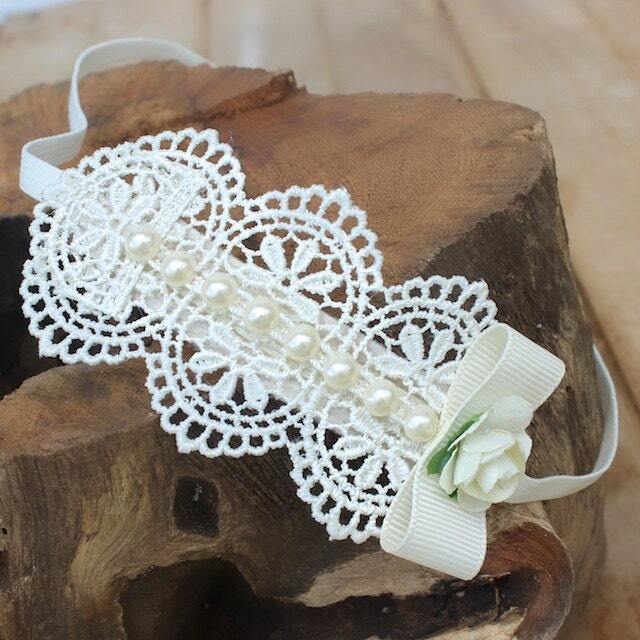 Piece is very sweet and exactly what I ordered. The light packaging might have been the reason for the flower being slightly smashed.